Green Wood Lodge: 4 bed / 2 bath. Sleeps 14. 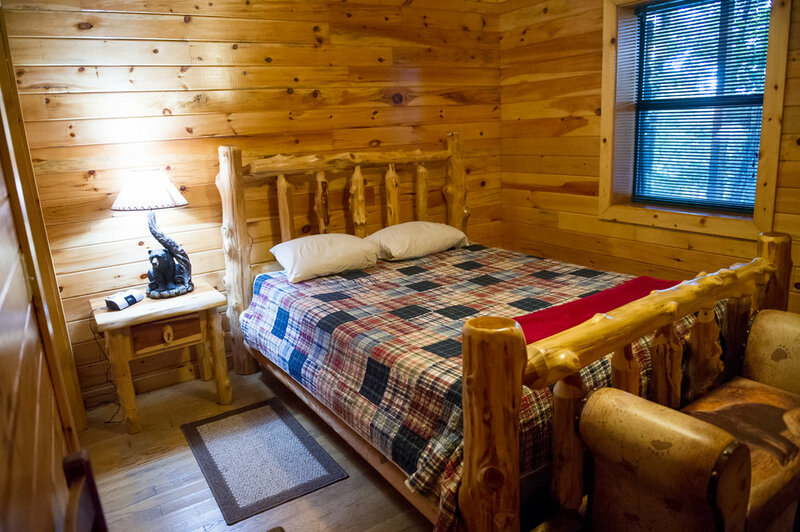 Green Wood Lodge is an authentic log cabin that allows you and your family / friends to get away from your hectic life and enjoy the mountains in a comfortable luxury cabin so you can Relax – Recharge – Remember!The cabin can sleep up to 14 with 1 bedroom with a king size bed and 2 bedrooms with queen beds, 1 full size futon & a downstairs area that has a full/ twin bunk bed + a single twin bed. This area is kid approved because it also has a fun Foosball table. Having 2 bathrooms means less stress when it comes time to get ready. The living room has plenty of seating with 2 sofas; cable/sat TV and a large wood burning fireplace for that wonderful real wood fire crackling for your enjoyment. The large fully equipped kitchen gives you lots of room for your culinary use with an available pull out cabinet/island for additional serving space. A large wrap around deck offers you the opportunity to greet the morning with a cup of coffee, cookout at the charcoal grill, and finish the day in a large hot tub on a private back deck. A picnic table gives extra seating for the adults and the kids. Don't forget the marshmallows and hot dogs to cook over the fire pit on those chilly nights. 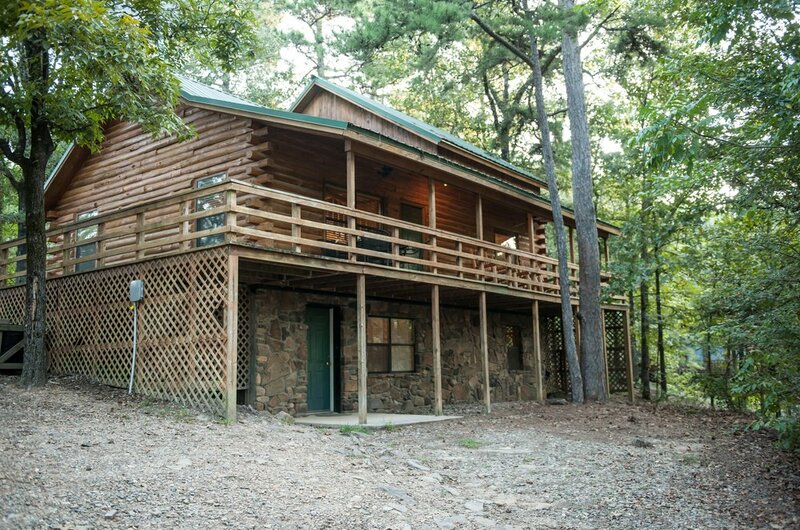 Green Wood Lodge offers a great location very near Beavers Bend State Park, and minutes from Broken Bow Lake & Marina, Horseback riding, Kayaking, the Nature Center, multiple restaurants and many other sights and activities.